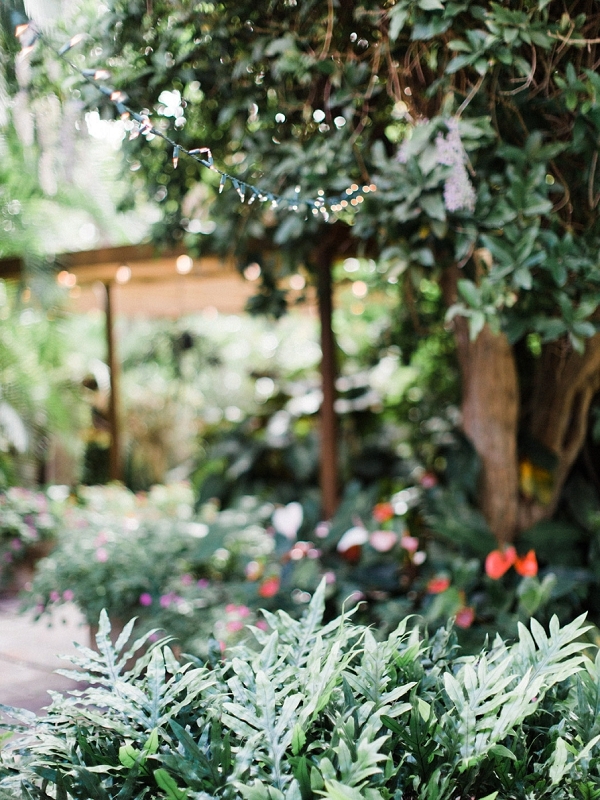 After a picturesque engagement session, our featured couple had an intimate backyard wedding filled with a host of awe-inspiring and artistic DIY touches, crafted by family and friends (be sure to read on for more on that!). 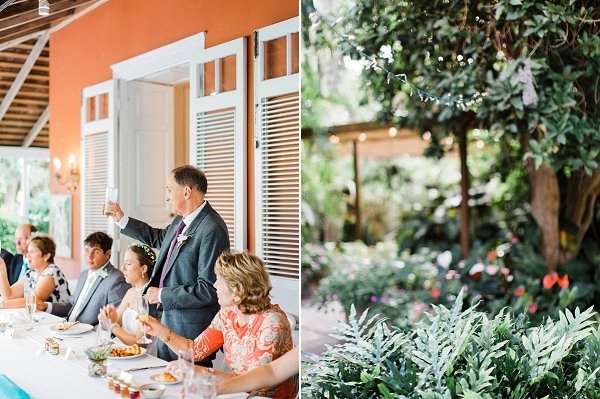 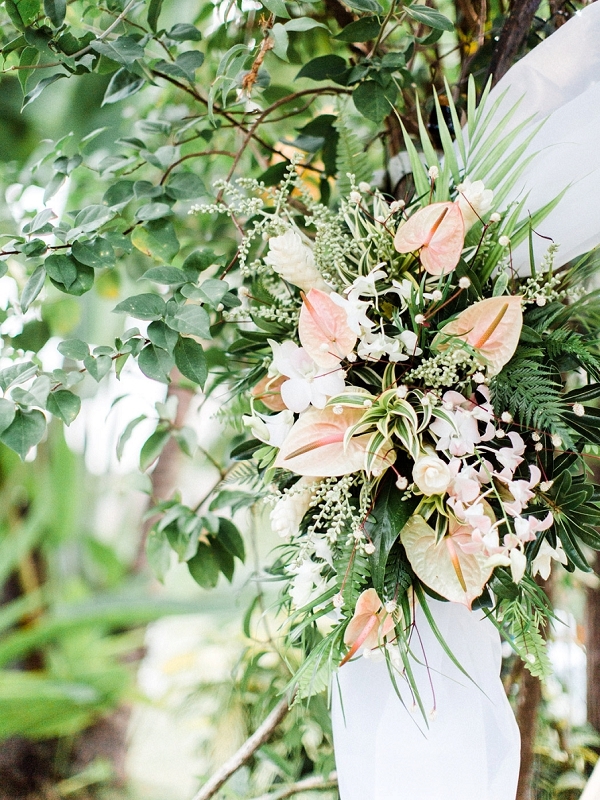 A vibrant and tropical turquoise palette was balanced beautifully with the muted ivory and blush tones of textured, home-grown blooms and we couldn’t be more in love with the cozy, romantic setting captured to perfection by Corynn Fowler Photography! 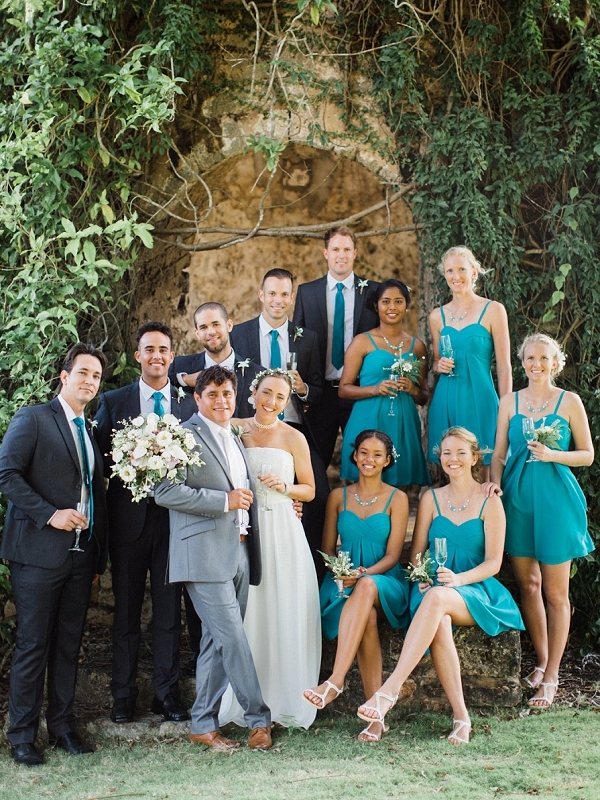 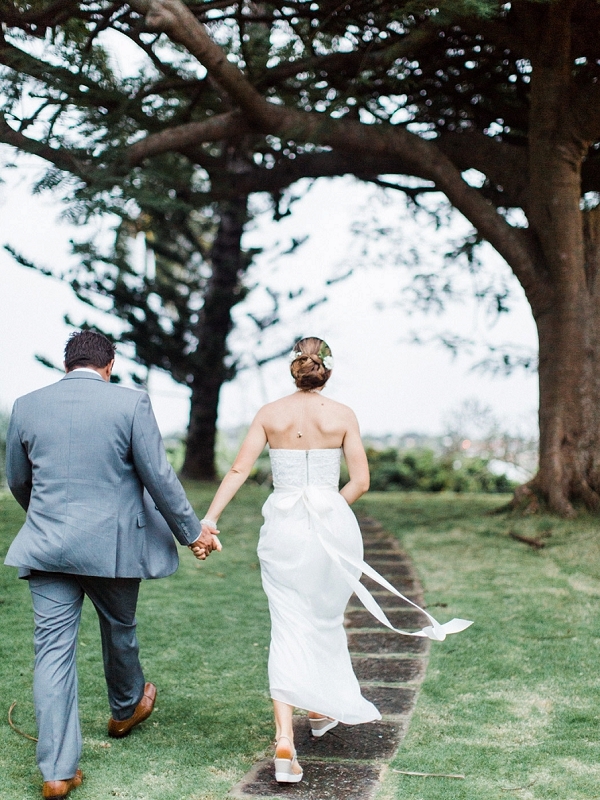 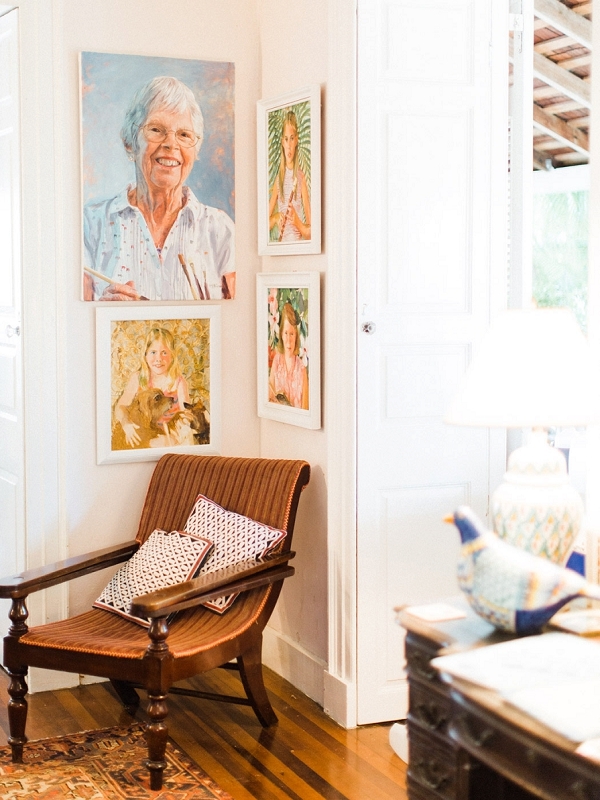 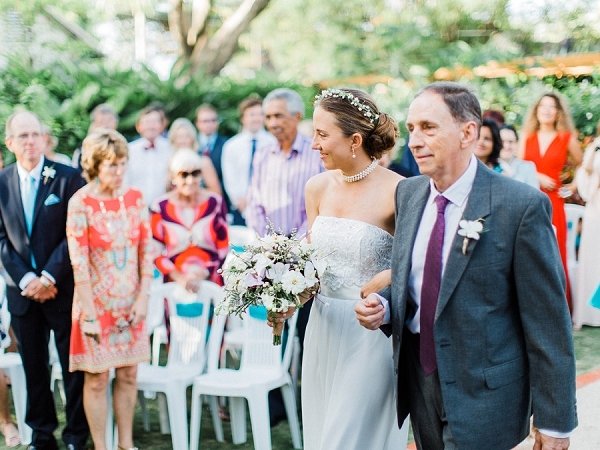 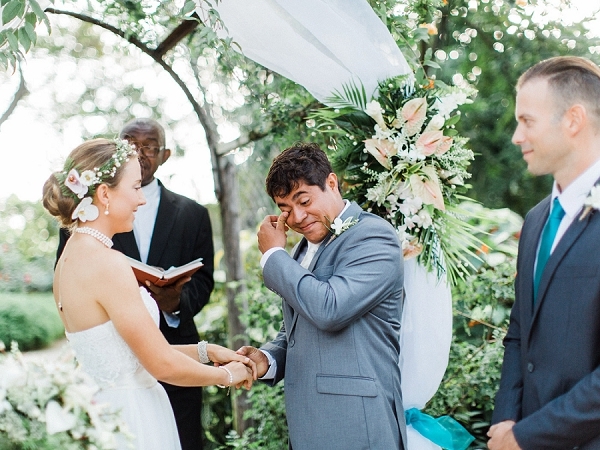 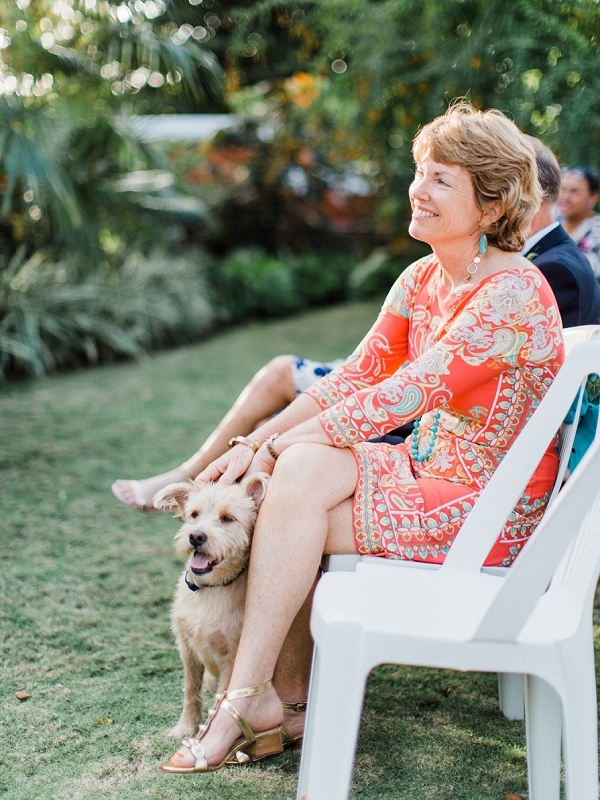 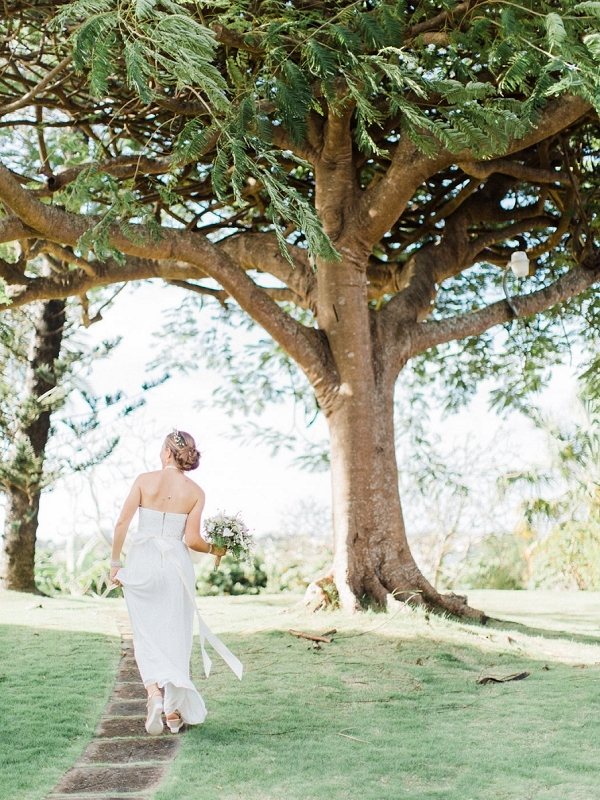 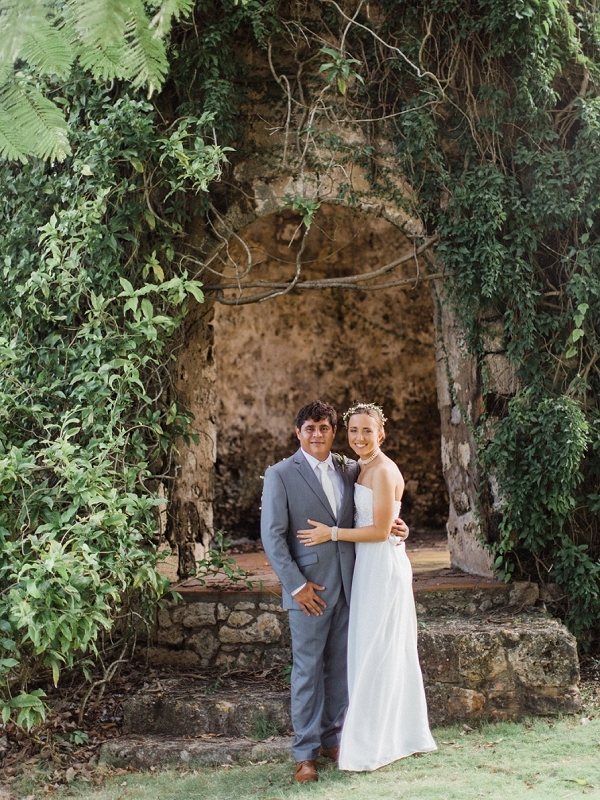 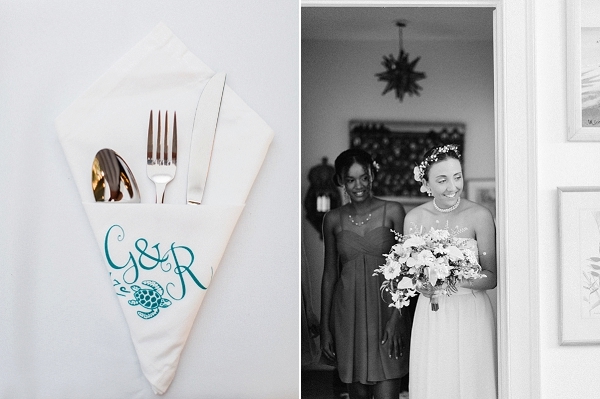 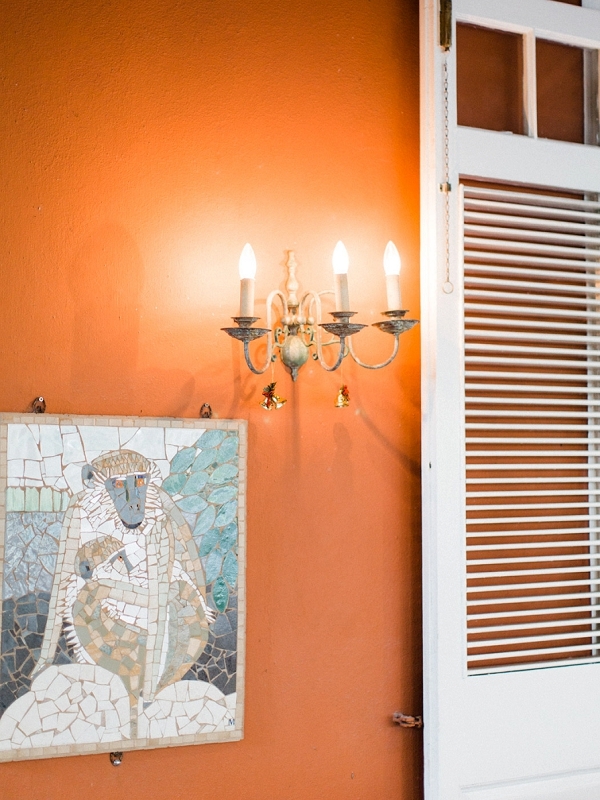 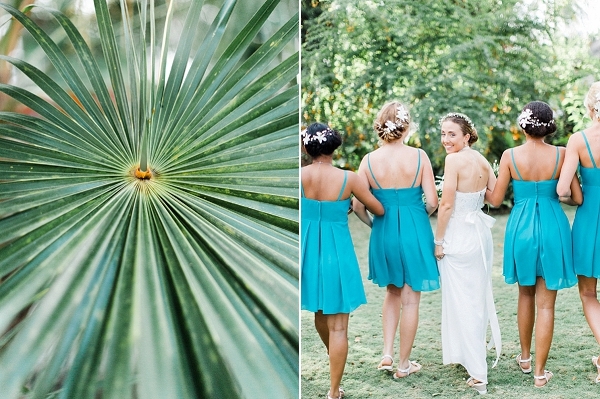 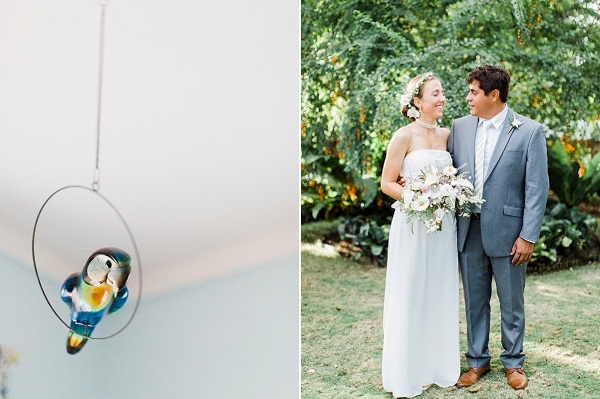 From Corynn Fowler Photography: Georgie and Ray grew up in Barbados, and chose to get married at Georgie’s family plantation home and the Best of Barbados head office, Welches Plantation, where three generations of her family have lived. 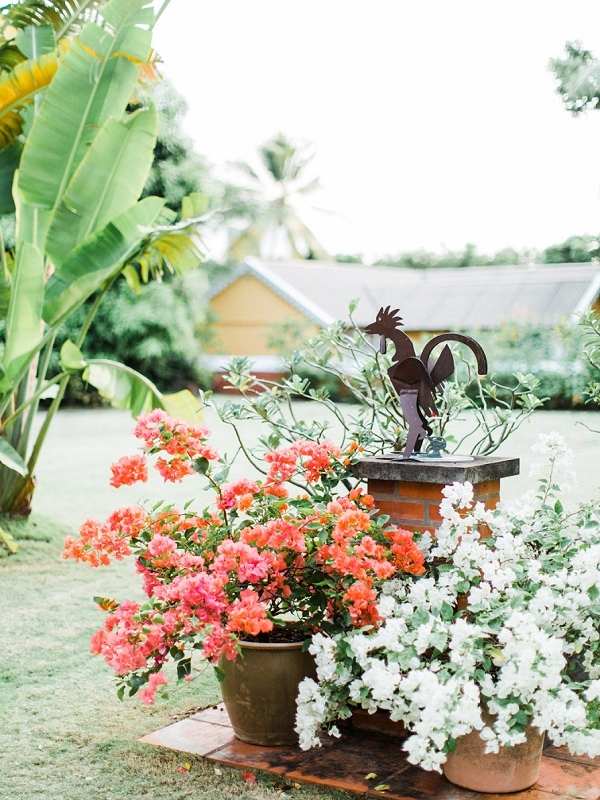 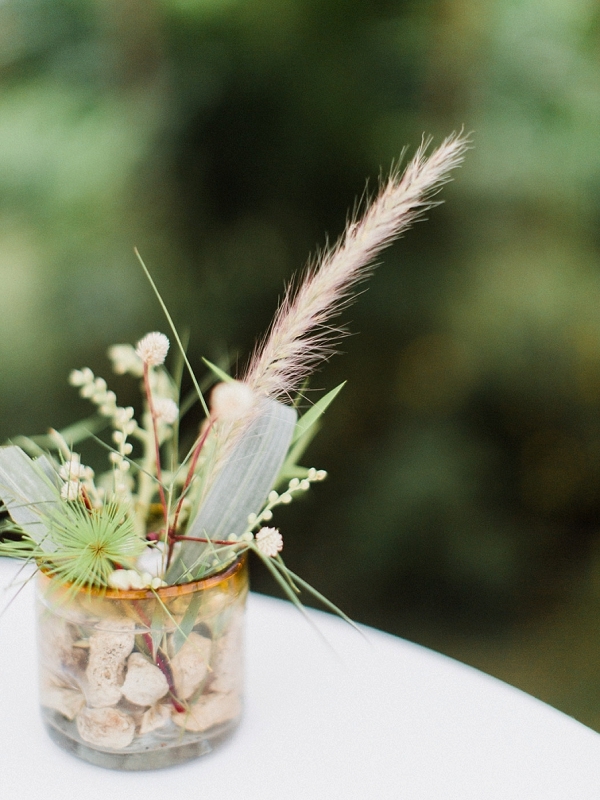 The bride comes from a family of artists, and the wedding was filled with amazing creative DIY details she envisioned, while the groom’s wild and adventurous spirit made for a beautifully emotion filled day and fabulous party that felt like half the island was in attendance. 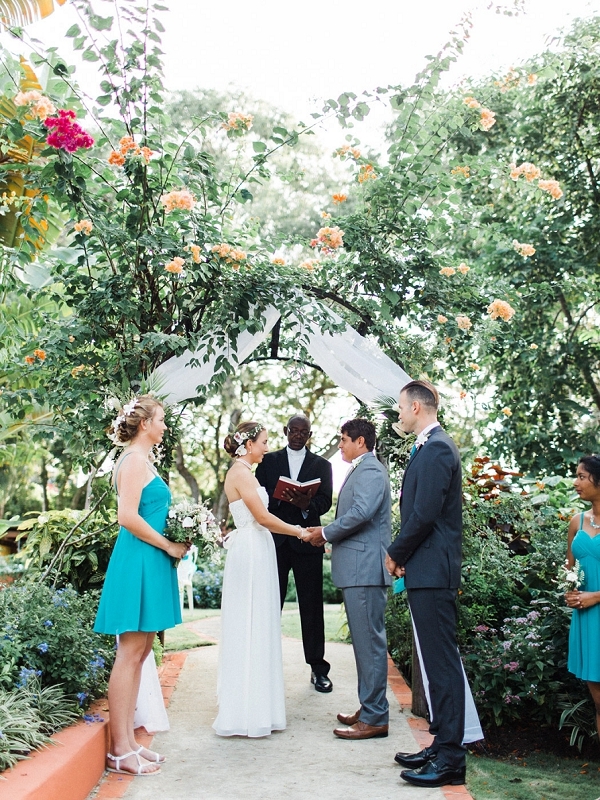 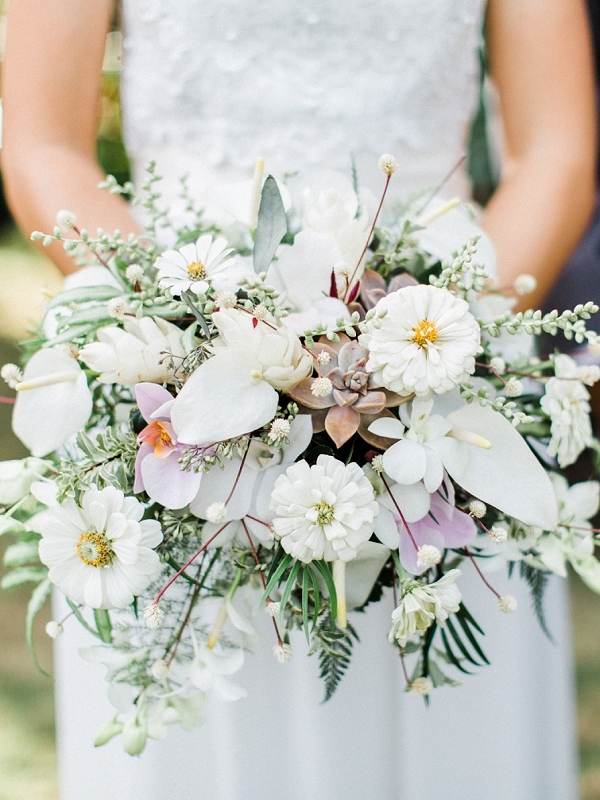 They spent the entire year leading up to the wedding tending to the garden and growing a beautiful array of greenery and flowers for the big day. 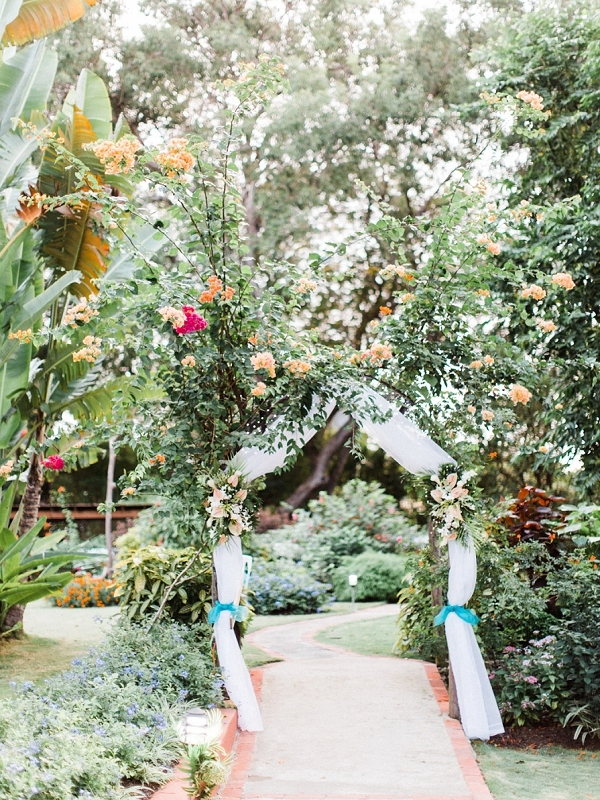 Many of the flowers incorporated into the garlands, hair, and bouquets were harvested straight from the backyard garden before the wedding. 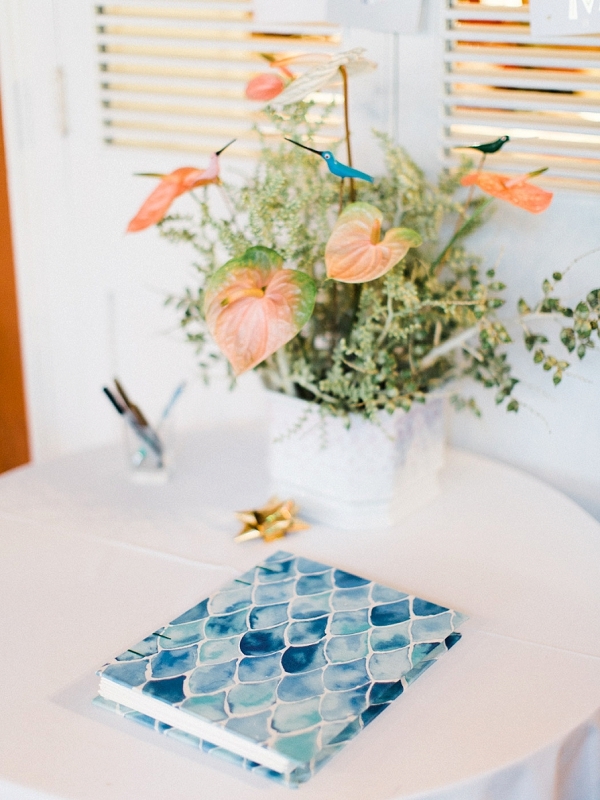 The place cards at the table settings were handmade by the bride’s mother using sea-glass collected from the beaches, the napkins were printed with the maid of honor’s ocean-inspired artwork, and the bride purchased a simple beachy dress, embellishing it at home with pearls and lace to create her own custom wedding gown. 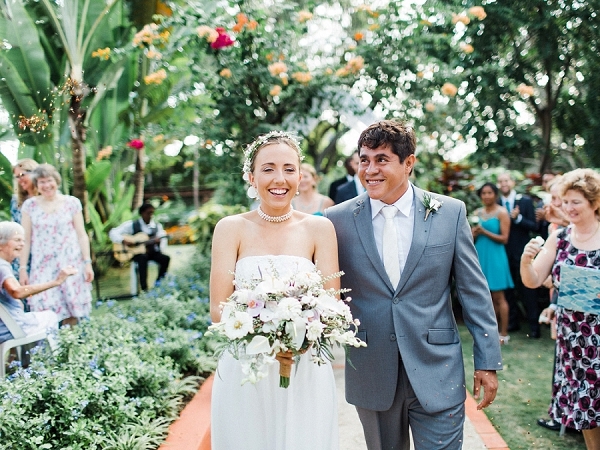 They had an early morning ceremony, following family tradition, as the sun was rising over the yard, then escaped the heat of the day by heading to the beach for a swim and a surf before getting dressed again for the evening’s festivities.